The films for quilting accelerate the precocity of the crops, increase the temperature of soil providing a greater root development in plants. There is a substantial saving in irrigation water, since the evaporation of water in the soil is eliminated, achieving greater use of fertilizers and nutrients. Control pests, diseases, prevent the development of weeds that can cause serious damage to the crop as they compete for space and nutrients in the soil. They control erosion, protect the fruit from direct contact with moist soils that can cause decay. 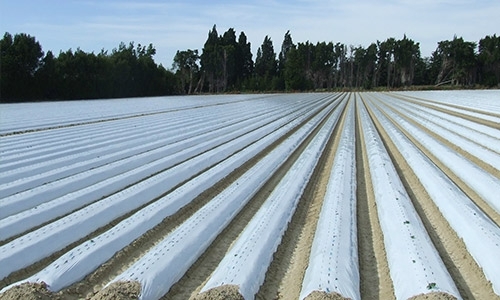 There are different types of plastics which have different functions in crops. The application of the quilting can be manual or with quilting machine. It reflects light, repels whitefly and aphids, increases the photosynthesis of plants. Recommended for summer-autumn crops that are sensitive to heat. Prevents excessive heating of the soil. It increases the luminosity of the lower parts of the plants that usually remain shaded. Ideal in autumn-winter seasons. Reduce costs per hectare. It controls the growth of weeds inside the plastic. It controls the weeds, since it avoids photosynthesis and suppresses the germination of the seed. Repellent against insects transmitting viruses and diseases. Reduces soil temperature in summer and increases photosynthesis. Ideal for solarizing the floor, since it substantially increases the temperature of this. Very effective in times of winter and cold climates. 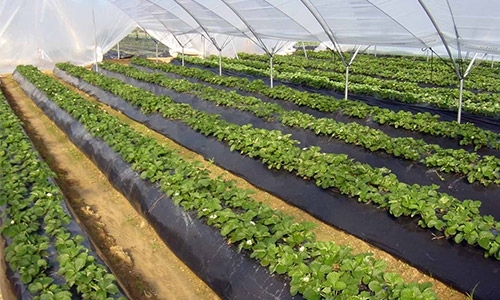 Non-woven fabric made of synthetic material that protects against the attack of insects that can transmit diseases to the crop as well as preventing the low temperatures from freezing the crop. 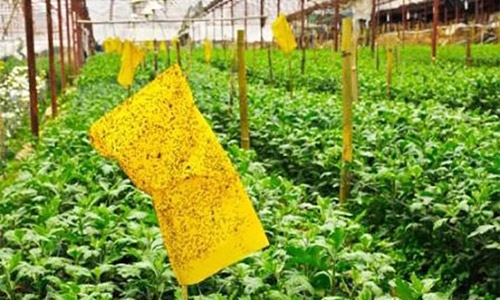 It avoids the early application of insecticides and allows to reach the cut without problems of virosis. Protect your horticultural crops such as: Chile, melon, squash, watermelon of aphids, whitefly and many insects that transmit viruses or diseases to your plant. They allow the crop to produce crops in cold weather season. They protect the crop from low temperatures. They maintain a warmer microclimate, which facilitates the development of the root zone. They allow to have earlier and better quality harvests. It considerably increases the yields of the crops. 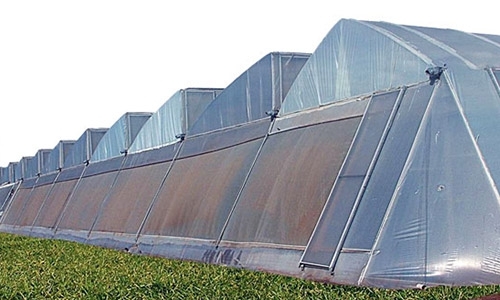 Protects the crop from winds and sudden changes in temperature. We have greenhouse films of 6.1, 7.3, 12.2 meters. Of width in caliber 600. Pipe for efficient water conduction that allows to drive water without waste, filtration or ponding avoiding the use of channels. It adapts to any crop, since its gates are installed on the land to be irrigated. Avoid filtration and evaporation of water. 8, 10, 12, 14 and 16 inches in diameter available, black and white. It attracts insects due to color, preventing the entry of pests into the crop. It helps to sample the presence of pests.